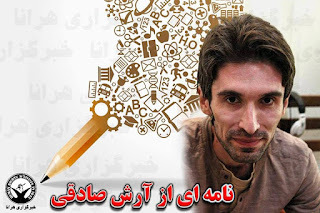 Arash Sadeghi On His 68 Days Of Hunger Strike !!!!????? Arash Is Dying ......Does This Matter For President Hassan Rohani ?!!! 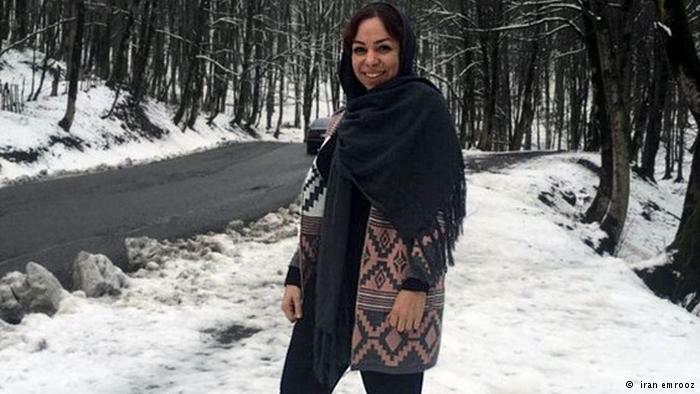 According to ILNA news agency , Tahereh Riyahi journalist and editor in chief of the social issues in " Borna " news agency and Davood Dashtbani the manager of the weekly " Vatan Youli " are arrested . The reason for their arrest is not known . 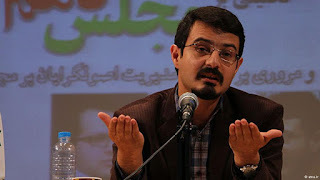 Tahereh Riyahi is arrested by the Sepah intelligence . According to ILNA news agency Tahereh Riyahi journalist is arrested at her home in Tehran on Tuesday December 27 and she is allegedly charged with " propagating against the regime " . In the past Tahereh Riyahi was working for " Shargh " and " Mardome Emrooz " ( Todays People ) newspapers. One day before the arrest of Tahereh Riyahi , the agents of the Sepah intelligence arrested Davood Dashtbani the journalist of the weekly publication " Vatan youli " ( Homeland Path ). 2- Mehdi Kokhian and Karim Chaychian both are from Malekan a place close to the city of Maragheh . Both this people were transferred from Malekan to the Maragheh city prison. Both this people were arrested at their home by security forces and their personal belonging including computer were confiscated by security forces . Earlier their prison terms was ended by the bail but the judiciary officials still keeps them in prison and in protest both this people sewed their lips and went on hunger strike . 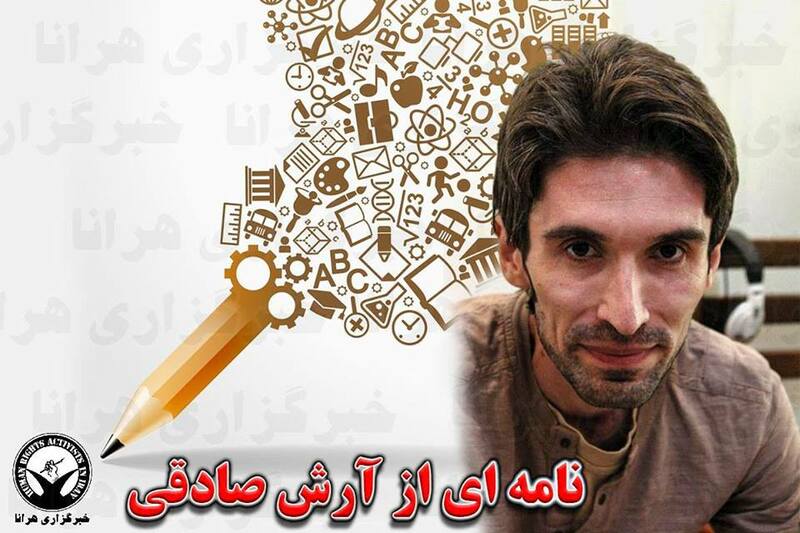 According to news from HRANA , Arash Sadeghi on his 64 days of hunger strike . Last night he through up blood and was passed out when by emergency vehicle transferred to the Taleghani hospital. Normally a person can stay without food up to 70 days and Arash has been without food for 64 days. We had similar case with Akbar Ganji the Iranian journalist. 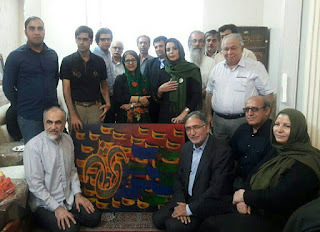 Arash Sadeghi is dying in Islamic regime prison and if he dies all the responsibilities goes to the Islamic regime, its leader Khamenei , its judiciary power head clergy Mohammad Sadegh Larijani , the prison officials and president Hassan Rohani for doing nothing on this case to protect Iranian citizens rights. 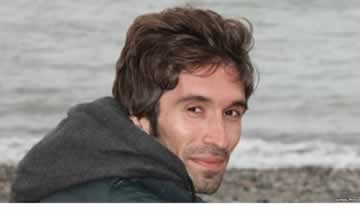 Arash Sadeghi After 61 Days Of Hunger Strike .....Arash Is Dying .........Where Is That Humanity And Human Rights ? Doctors recommended that the blood cloths are from his stomach and throats and must be immediately cleared from his stomach ....and they recommended that he must be taken to a hospital for endoscopy . He has lost 19 kilogram due to hunger strike . Iran Watch Canada : Arash is dying , does anyone care ? 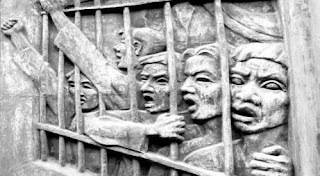 At present there are many Iranian political prisoners are on hunger strike like Arash in protest for justice and their rights. 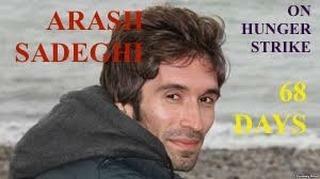 According to news Arash Sadeghi the Iranian political prisoner is in his 60th days of hunger strike .
" Today i am on my 60th days of hunger strike in protest against lawlessness, violence and cruelty . Despite the request by many citizens to end the hunger strike, but i want to continue the hunger strike until i receive my rights . " 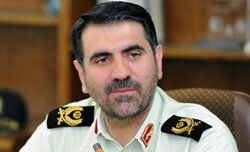 According to Mizan news , Hossein Sajedinia Tehran Chief of Police said: During the eight months in this year 1200 people in Tehran are arrested and he called them as " online criminals " . He said: 986 of those committed the crime are men and 298 of them are women. This was happening because in recent months the Ayatollahs have spoke on more restriction on internet and online services. 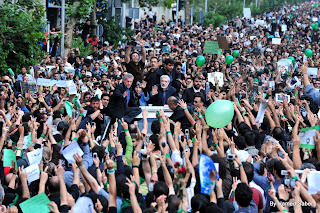 Ayatollah Khamenei also reminded the clergies that, " the main battle ground is the war on online and internet users" . In another news Mr. Ali Asghar Ebadi Nik the chief of police of the intelligence and security of the Hormozgan province said: 32 people who were running the group activities in Telegram program and social networking are arrested in Hormozgan province. International Campaign for Human Rights announced that, there are 300,000 to 500,000 Iranian are members of programs like Telegram and all using it as non political and just recreational. 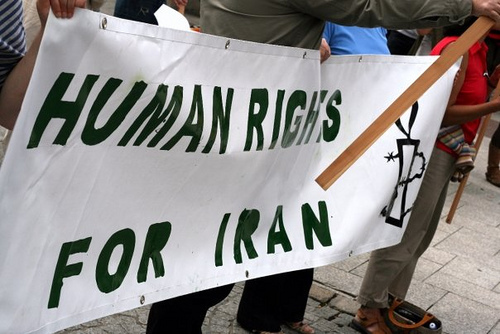 According to HRANA news , Arash Sadeghi and Morteza Moradpour are the two Iranian political prisoners who have had 45 days of hunger strike and they continue their hunger strike against . Arash Sadeghi was transferred for several times to the hospital and prison clinic for hearth conditioning and Morteza Moradpour also passed out while in prison. Most of the political prisoners in Iran suffers some sort of health condition and the regime together with its prison system denies the political prisoners with health medical needs. 50 Members of the Iran Transit Union staged a protest in front of Tehran city hall demanding for housing / shelter and their salaries and rights. According to a report by Fatemeh Zolghadr MP from Tehran in the parliamentary session, the city must solve their problems instead of beating them / clashing with them. Film from Mass Grave in The City of Tabriz , Iran ...........The official in this interview says : The Early Opinion is That This is Not A Mass Grave......Iran Watch Canada: If this is not a mass grave ,then what is it? 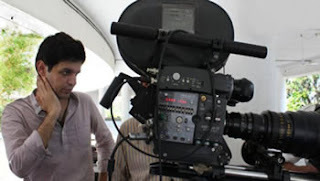 French cinema makers in a statement Those who have signed this statement demanded from the Islamic regime in Iran to release Keyvan Karimi the young Iranian film maker who was arrested and detained for just making the film " Neveshtan Bar Shahr" ( Wring On The City ). Judiciary judges of the Islamic regime have sentenced Keyvan Karimi to a year imprisonment and 223 lashes. Those who have signed this statement are the French film makers including film writers , directors, Cinema personalities and artists organizations. Other artists from Germany , Netherland and European also demanded for the release of Keyvan Karimi. In their statements they wrote: regime put the artists or journalists and writers in prison , because they do not like what they write . Kelvin Karimi is 31 years old and he is a Kurdish - Iranian film maker. Earlier he was sentenced to five years imprisonment but because of international protest the sentencing reduced to one year imprisonment and 223 lashes. According to news coming from Iran , workers working on a excavation site in the city of Tabriz in West of Iran , found a mass grave near a waste water / swage system . Regime's cultural heritage officials in Tabriz indicated that , this site is not a historical site and has no historical value. 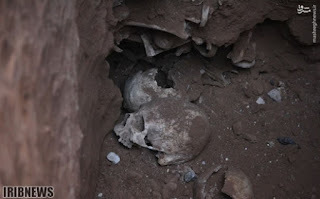 There are speculation that this mass grave site may be of many hidden mass grave of the opposition killed by the regime and buried in mass after the establishment of Islamic regime in Iran . News by Kalameh website- Excerpt from the interview . Kokab , Zahra and Narges Musavi are the three daughters of Mirhossein Musavi and Zahra Rahnavard ( the leaders of the green movement ) on speaking to kalameh website said: 6 years is a big number , bigger than the patience , referring to the time or the number of years their parents have been under house arrest and apparently there has not been any change what so ever during the presidency of Mr. Hassan Rohani the so called moderate Government. Six year house arrest and living in jail house without any due law process on what reason they have to go through this situation. The daughters say, the only news they have is that, their mother's hand was broken and was under treatment and they have once every week access to their parents , other than that ,there are nothing new , life of living in jail house without any legal procedure. 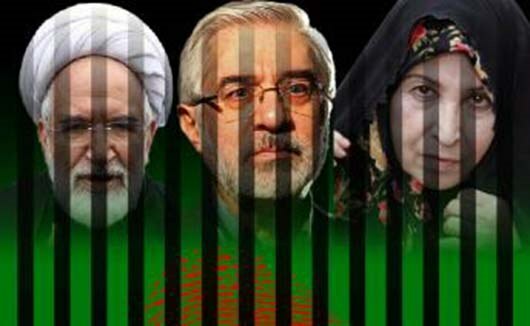 We think sometimes our friends who are busy with their political game talk about their efforts to remove the house arrest or to prepare for a trial , but these are just words and nothing has changed , they are still under house arrest and in house jail . 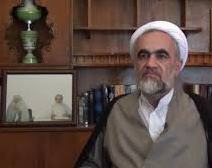 After the release of Ayatollah Montazeri's voice tape by his son Ahmad Montazeri , regarding the mass killing of the political prisoners in Iran in 1987 by Islamic regime , he was summoned to the special clergy court and was sentenced to 21 years imprisonment and life time ban on wearing the clergy garment. Mr. Ahmad Montazeri said ; the judiciary told him that they have reduced 15 years imprisonment because of his martyred brother who was killed in a bomb blast in Islamic Republic Party meeting in early revolution days apparently by Mojahedin Khalgh . So total imprisonment he was given was 36 years but reduced 15 years because of his martyred brother .